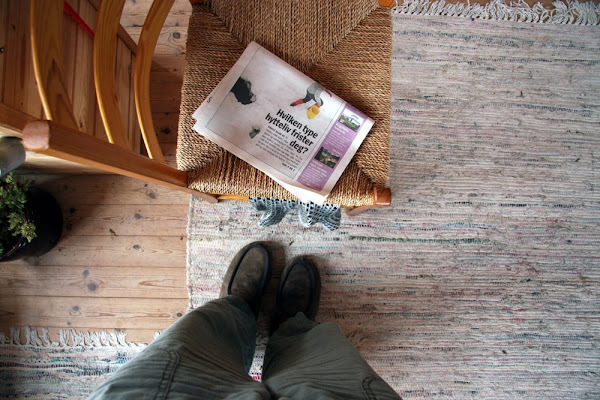 The newspaper headline asks: what kind of cabin life tempts you the most? 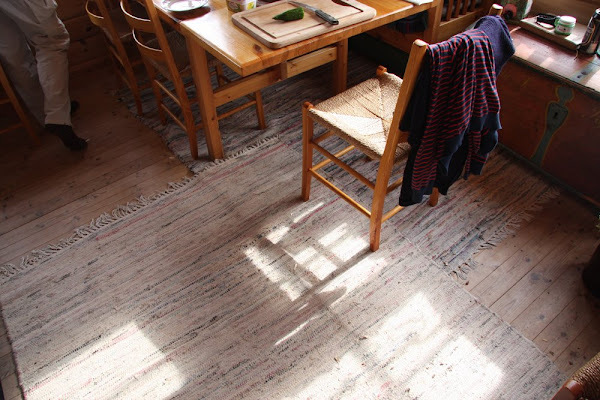 Sølve's family's mountain cabin is about 1,5 hours drive from our hometown Sandnes. In winter it takes us about one hour to get there, skiing. There are only four other cabins in the same area, more cabins are about 30 minutes skiing away. There is no water or electricity. In summer we get water from the river close by, and in winter we melt snow. Evenings are candle lit. We have to go outside to the "toilet house" to... These four photos are from the main living area. There's a small living area upstairs with an (uncomfortable) sofa, but we seem to always end up here. 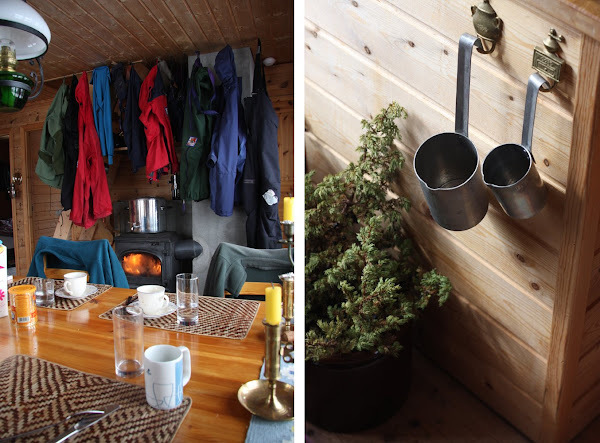 The cabin is only 30 square meters, and there are beds for 9 people. Sølve and his family built it. This was the place Sølve and I "officially" became a couple in May 1998. And this is the place I became as sick as I have never been before - with appendicitis. 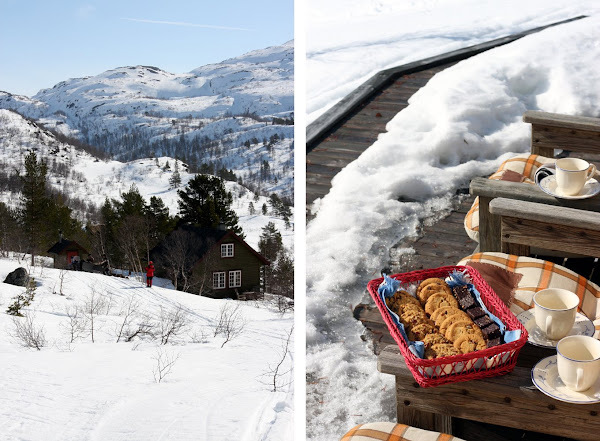 Many Norwegians own a cabin or another kind of holiday home, and many Norwegian like spending the Easter holiday at their cabin, skiing, eating oranges and Kvikk Lunsj. 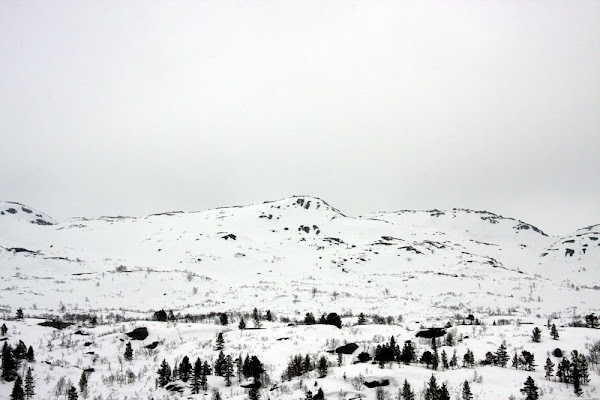 (Here is a little more about påske i Norge.) We are no exception. 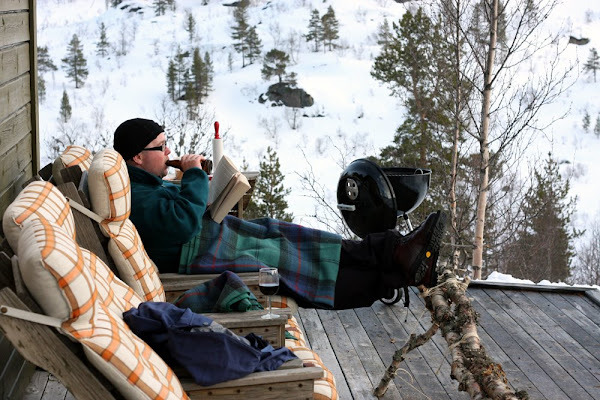 Sølve and I try to always spend the whole Easter at the cabin; from Friday before Palm Sunday until Easter Monday. Normally Sølve's parents are there with us the first days. When they leave our friends come join us. There's hardly any cell phone reception at the cabin, so we just turn of our phones and leave the rest of the world behind. Being away from civilization for more than a week feels so good. I even enjoy doing the dishes. As I mentioned on Monday Easter was quite wet. It rained a lot and heaps of snow melted during the week. A little sad really, because sun and blue skies are always more fun. But it was kind of nice though seeing spring come to the mountains. The rain was of course a very good excuse to stay inside and play games, read and eat lots of yummy food. Sølve really is a master chef. Lucky me! See the rest of the Easter photos here. Here are the photos from Easter last year, and here are the Easter 2007 photos. So, what did you do this Easter? 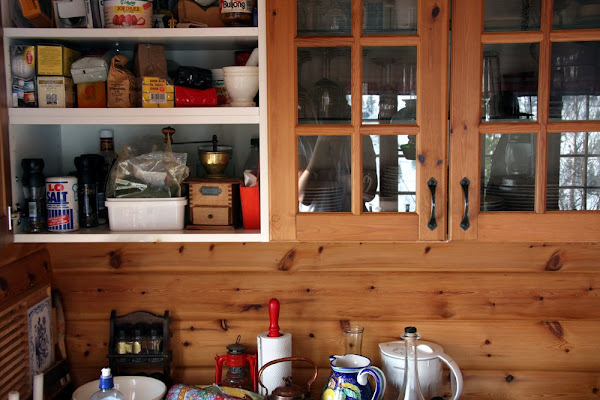 And what kind of cabin life tempts you the most? with the financial crisis dropping down the prices, i think i will spot a cabin somewhere in the mountains and buy it, somehow. i NEED some place for our week-end gateaways. that is a fantastic cabin. did you see the norwegian cabin in dwell that was built on the rocks? it also had few "amenities" and talked about how people building cabins now want those things, and it changes the experience. i think the lack of "amenities" (like an indoor bathroom) really changes the experience and makes it more like camping .. makes your time there really special. wow, i would really love to have a cabin just like that. just me and the ones that are there with me and nature. no one else. your cabin is beautiful. we rent a cabin by a lake, i listen to the waves all day, and walk along the beach, at night the lake lulls me to sleep. It looks so beautifully cozy!! I would love to have a little hideaway like this one day. cabin life is amazing and i'm jealous! my husband and i lived in the swedish forest in cabin for a summer to take break from our brooklyn life! oh my gosh! that looks like heaven! Oh, must be so wonderful to have this kind of hide out...love it! it sounds absolutely perfect. you lovely norwegians live so well astrid.